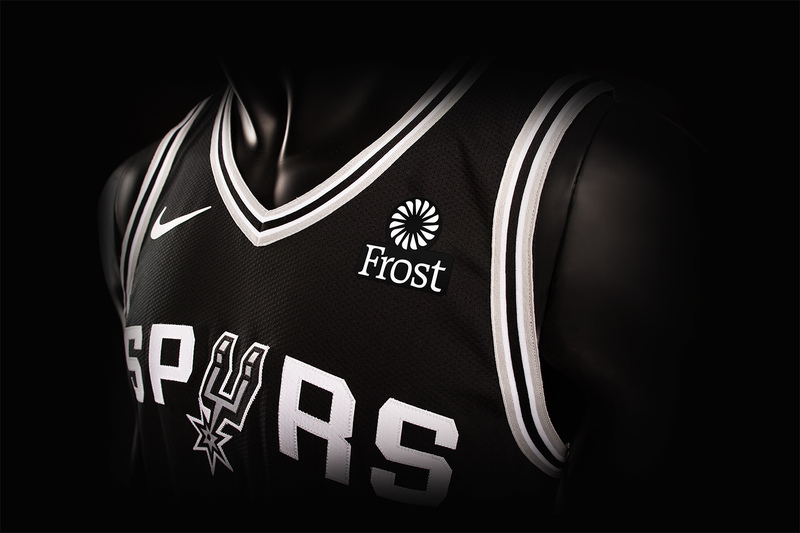 This offseason, the San Antonio Spurs have signed Frost Bank to a multi-year marketing partnership that includes placement of a Frost Bank logo in the coveted breast location of the Spurs jersey. New jerseys will be printed prior to the start of the 2018-19 NBA season and debuted when the Spurs host the Miami Heat during a preseason game on September 30. It marks an expansion of a partnership between the Spurs and Frost Bank that has been in place for 45 years. That makes Frost Bank the longest-tenured partner of the Spurs. The expanded deal does also include a community service component. There will be a comprehensive community engagement platform as well as expanded in-arena and digital presence afforded to Frost Bank. The Spurs are giving Frost Bank the jersey patch sponsorship 1 year after the NBA instituted a new rule allowing for the placement of brand logos on team jerseys. San Antonio Spurs waited until 20+ NBA teams secured a jersey patch sponsor.